In The Year of Living Dangerously, Guy Hamilton (Mel Gibson) is a fresh journalist who was sent to cover the political turmoil in Jakarta. He receives some assistance from a half-Australian, half-Indonesian male photojournalist played by the very convincing Linda Hunt (yes, you read that correctly). Hamilton falls in love with Jill (Sigourney Weaver) and they developed a relationship amidst political upheavals and great personal risk. Director Peter Weir and actor Mel Gibson earned their ticket to international fame through this film. 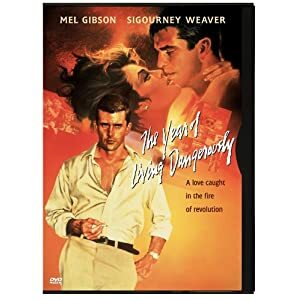 Stunning and sensuous, The Year of Living Dangerously captivates you with its gorgeous scenery and a steaming make-out scene between Mel and Sigourney Weaver. This film is highly recommended, even if you are not an avid Mel Gibson fan.